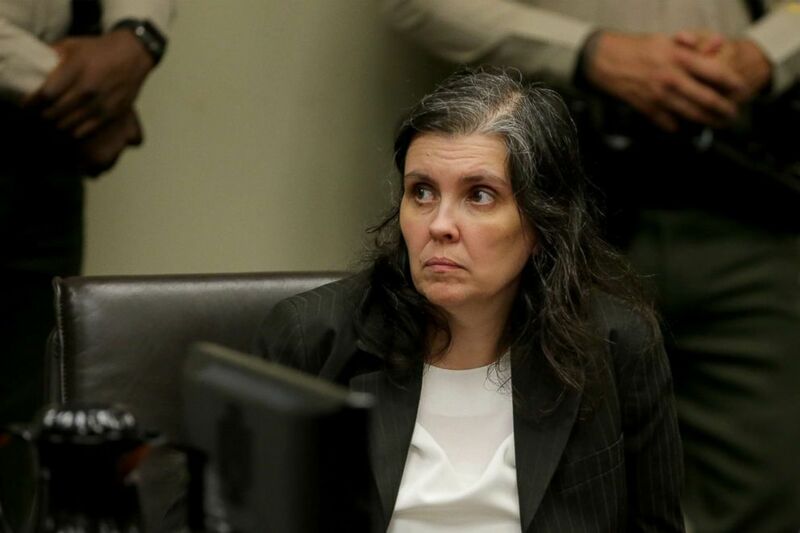 Newly-discovered video posted online by a teenage daughter of David and Louise Turpin shows life inside the California home of the couple accused of starving and holding their children captive. Interested in California Captivity Case? Add California Captivity Case as an interest to stay up to date on the latest California Captivity Case news, video, and analysis from ABC News. The Turpins’ 17-year-old daughter — one of the 12 siblings allegedly kept captive — produced and posted self-made videos to YouTube under an alias. The videos show her singing songs she wrote. In another video, the teenager is playing with one of the family’s dogs. Grime-smudged doors can be seen in the background as well as a pile of clothes. The teen’s Instagram account shows mostly selfies and also includes some photos of Justin Bieber. 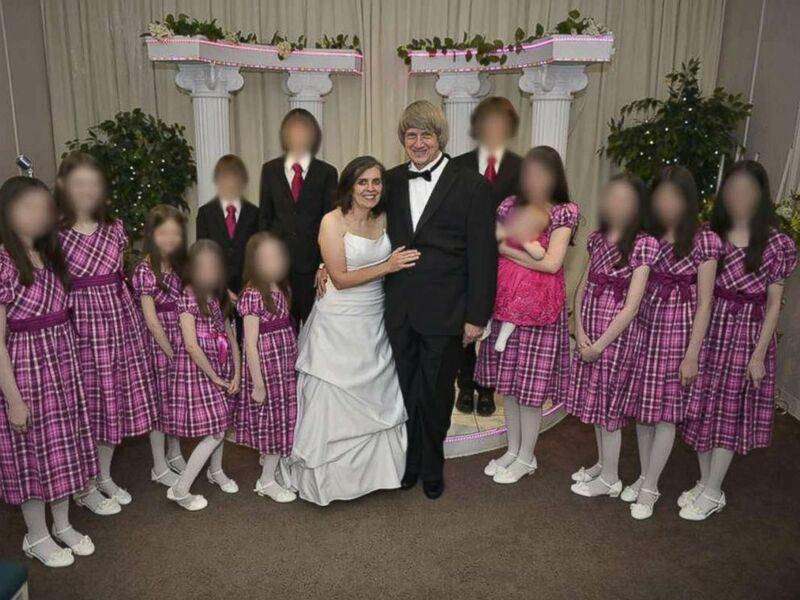 Louise and David Turpin were arrested in the torture and child endangerment case in Perris, Calif. The 17-year-old’s most recent clip was posted just seven days before officials say she broke out of the home in January and called 911. David and Louise Turpin were arrested in January, accused of abusing 12 of their children, including in some cases allegedly forcing them to shower only once a year, shackling them and beating them routinely, prosecutors said. The victims weren’t released from their chains to go to the bathroom, according to prosecutors. When found in January, the children hadn’t been to a doctor in over four years and had never been to a dentist, prosecutors said. All the children except for the youngest, a toddler, were severely malnourished, prosecutors said. The eldest victim — a 29-year-old woman — weighed only 82 pounds when rescued. 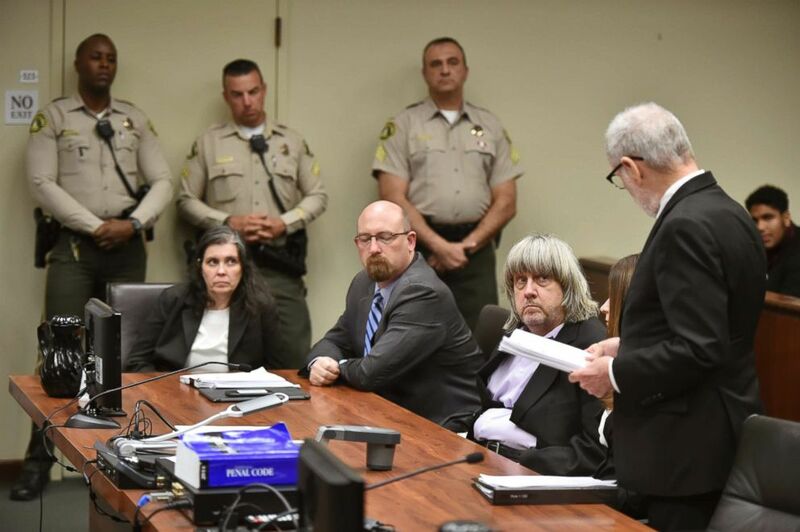 David and Louise Turpin were each initially charged with 12 counts of torture, 12 counts of false imprisonment, seven counts of abuse of a dependent adult and six counts of child abuse. David Turpin was also charged with one count of a lewd act on a child under the age of 14 by force, fear or duress. Last month three additional charges of abuse were filed against both David and Louise Turpin and one new count of felony assault was filed against Louise Turpin. Louise Anna Turpin, far left, with attorney Jeff Moore, center, and her husband David Allen Turpin, listen to attorney, David Macher, as they appear in court for their arraignment in Riverside, Calif., Jan. 18, 2018. Louise Anna Turpin appears in court for arraignment with attorneys on Jan. 18, 2018 in Riverside, Calif. Meanwhile, the siblings are recovering physically and emotionally. Some of the 13 siblings are “starting to make plans for their future,” Corona Mayor Karen Spiegel told ABC News last month. “Their minds are just being opened [to] having a choice and not being so controlled,” she said.